Fanciful dresses A & B with gathered skirt and cute lace frills on the sleeves and neckline. 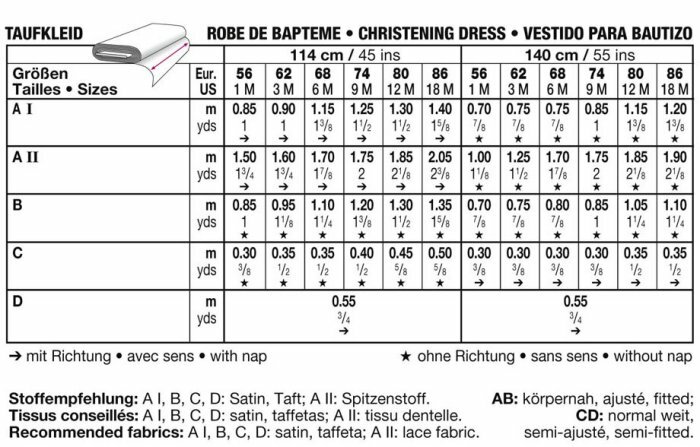 Dress A also has a long overskirt in lace fabric. The matching little bolero jacket and hat make the outfit complete. All ensemble pieces can be decorated with fabric flowers.